Do You Wish You Could Find Lasting Happiness And Total Peace? Are You Sick And Tired Of Living With Fear And Anxiety? Discover The Secrets To Total Happiness And True Joy That Will Revolutionize Your Life Forever!From Bestselling Author And Registered Nurse, Summer Accardo, RNAre you sick and tired of living with the gripping fear of anxiety and panic? Are you finally ready to live your life without the dreaded anticipation of going out and facing the public? Are you afraid that you will never find happiness?Written by bestselling author and registered nurse, Summer Accardo, RN, this life-changing book shows you how to be happy again while living your life free from debilitating anxieties, fears, and panic attacks.Here's what you'll learn:	Which minerals restore lasting happiness and provide fast anxiety relief	Which foods give you dramatic anxiety relief	The "worry trick" that will calm you quickly and bring you happiness	How to get rid of health anxiety once and for all	How to eliminate social anxiety	Strategies to overcome worry and negative thoughtsWhile prescription medications can help manage your symptoms of anxiety, they often come with unbearable side effects, and cognitive therapy can take months to be effective. Antidepressants can help elevate your mood, but they can lead to dangerous side effects in certain people.You don't have to suffer anymore with fear and dread. Start living a happier and more productive life today. This groundbreakking happiness book has helped thousands of people beat anxiety, depression, and panic disorder, and it can help you too. Start living the happy life you deserve!Buy Now! The information included in this book is for educational purposes only. It is not intended to be a substitute for professional medical advice. The reader of this book should always consult his or her medical healthcare provider to determine if the information in this book is appropriate for their own situation. Furthermore, if readers of the book have concerns or questions regarding a treatment plan, diet, exercise regimen or medical condition, they need to consult their healthcare providers. Congratulations on taking the first step to happiness and living without debilitating anxiety, panic attacks, hypochondriasis, and depression. As a registered nurse and former psychiatric nurse, I have been able to help thousands of patients, just like you, overcome the misery and devastation of anxiety, panic attacks and depression, through the latest cutting-edge research on natural, holistic, alternative and complementary anti-anxiety treatments. The strategies, tips, tricks, recipes and healing suggestions you are about to read in this book may be just as effective, or even more effective than prescription anti-anxiety and antidepressant medications, and without the side effects or expense. Stop living your life in fear and dread. This ultimate guide to anxiety relief is going to help you achieve a better life filled with happiness and hope, and without intrusive, frightening thoughts that are consuming your life right now. This book does not contain a lot of medical or psychological jargon. It is not meant to be overly technical, nor does it delve deeply into the mechanics or physiological reasons for anxiety disorders and depression. What it does do, however, is provide you with highly effective tips, remedies, treatments and lifestyle modification suggestions that will help you overcome your anxiety, panic attacks, depression and fears about your health so that you can live a happier, more peaceful life. Do not let your fears, depression or general anxiety disorder (GAD) stand in your way of living a productive, pleasant life. You can take control of the situation, and change your negative thinking. Just as you've trained your brain to think about negative, anxious thoughts, you can train it to think about pleasant, peaceful thoughts that will eventually crowd out the bad thoughts. It's not as difficult as you may think. If fact, there are a number of things that you can do, right now, to help those negative thoughts about your health fade away. That's right! Your intrusive thoughts about your fears and insecurities will simply fade away. In fact, you will probably even get bored with them, eventually. Can you imagine that? It's true, so have faith, and read on! Excessive worry and general anxiety is intrusive to your life and can be crippling. There is good news, however. Lots of good news, so take heart. Did you know that you can crowd out your negative thoughts with positive thoughts? Just as you've trained your brain to respond to scary situations that are beyond your control, you can train it to respond to pleasant thoughts of calmness, strength and well-being. I know it sounds too good to be true, but it can be done. This is not to say that you shouldn't seek professional help if your thoughts are so intrusive that they prevent you from functioning on a day-to-day basis. You should. I wrote this book simply to help people who struggle with general anxiety disorder, panic attacks and health anxiety, but who are still able to work, take care of their families and look after themselves. General anxiety disorder, panic attacks, hypochondria and health anxieties may be linked to depression. Research has shown that people who are depressed have lower levels of serotonin in their brains, and this may hold true for us worriers and hypochondriacs. They key to helping us feel better may be to raise our levels of serotonin and other "feel good" chemicals known as endorphins. Antidepressants raise levels of serotonin, but did you know that certain foods, dietary supplements, vitamins and minerals can do the same thing? So can exercise. Although generalized anxiety disorder, depression, panic attacks and hypochondria are very common, little is still known about the cause and effective treatments. Hypochondria, a form of generalized anxiety disorder, is a preoccupation with one's health. The person with hypochondriacal fears believes he has a serious disease, when none is present. Up to 4.5% of the general population may be affected by this ailment, and people with hypochondria may have a higher rate of depression and anxiety. People with this condition are almost always consumed with fear that interferes with personal relationships, happiness and work. Hypochondria makes people misinterpret their normal body sensations, and have a persistent fear of serious disease despite repetitive reassurance from their health care providers. Some hypochondriacs, because of their paralyzing fear of "getting bad news," avoid going to the doctor altogether. Although the exact of hypochondria is unknown, a disturbance in one's perception, which makes normal sensations feel abnormal, may play an important role. Also, people suffering from hypochondria may believe that a specific illness may be due to an imagined or real wrongdoing from their past. It may also be a learned behavior in those who have had a serious childhood illness that brought about an abundance of attention. It may also be related to obsessive compulsive disorder as well. Risk factors for hypochondria include having a family history of the disorder, having a serious illness as a child, recent or past stressful events, having mental disorders such as depression, anxiety and obsessive compulsive disorder. Medications such as selective serotonin reuptake inhibitors (SSRIs), may improve your symptoms, and include paroxetine, sertraline, fluvoxamine and fluoxetine. Antianxiety medications such as Xanax, Valium, Buspar and Klonopin also help with symptoms, and also help keep panic attacks at bay. 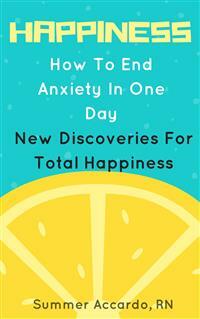 Antianxiety medication, however, are generally prescribed to be used during the acute phases of your anxiety attacks. These medications are highly addictive, and become less effective over time. Because they become less effective, people tend to increase their dosages. This can lead to dependence, and withdrawal symptoms when trying to discontinue the medication. Side effects from antianxiety medications include drowsiness, dizziness, dry mouth, urinary retention, confusion, dizziness, low blood pressure and itching. Psychotherapy helps people identify those specific thoughts that add or contribute to their anxieties about illness, and help correct their misinterpretations of abnormal body sensations. Cognitive behavioral therapy helps teach individuals to focus less on intrusive thoughts and their fears of illness, and to utilized distraction and relaxation techniques instead. Behavioral stress management teaches people how to become less focused on their health during times of stress. This type of stress management can be used in conjunction with cognitive behavioral therapy. Alternative and complementary therapies may also play an important role in the treatment of hypochondria and generalized anxiety disorder. Acupuncture helps promote relaxation, and mindfulness therapies such as meditation are effective in the management of symptoms. Nutritional is also thought to play an important role in the management of hypochondriacal and depressive symptoms. People who experience frequent bouts of anxiety may benefit from limiting their intake of caffeine and alcohol, and eliminating processed foods from their diets. Avoiding suspected food allergens such as milk, eggs, ice cream, cheese, corn, soy, wheat and preservatives may significantly improve your state of well-being, subsequently reducing episodes of obsessive and intrusive thinking. Also, consuming foods rich in iron and B vitamins such as dark leafy greens, whole grains (only if you don't have a wheat allergy) and plenty of fruits and vegetables may also help soothe your nerves. Eating antioxidant-rich foods such as tomatoes, blueberries, squash, cherries and bell peppers, and avoiding sugars, pasta and white bread may also result in a decrease in your hypochondriacal thinking. Furthermore, when your blood glucose levels are unstable, it can worsen you mood, leading to negative emotions and thoughts about your health. To counteract this, eat small, frequent meals during the day, which will help stabilize your blood sugar levels, enhance digestion and improve your mood. Limiting your consumption of red meat, and incorporating cold water, omega-3 fatty acid-rich fish into your diet may also help keep anxiety away and reduce your negative thinking. Olive oil is also a rich source of omega-3 fatty acids, which have been proven to stave off depression and anxiety. We love our coffee! Scientific studies have shown that coffee may help improve symptoms of depression, especially in women, however, this benefit may not be so beneficial in those who suffer from anxiety or hypochondria. Caffeine, a powerful stimulant can cause racing thoughts and a heightened awareness of our body's normal responses, which you may perceive as abnormal sensations. It is also widely known that participating in an aerobic exercise routine can help relieve anxiety, panic attacks, depression and destructive thinking. Exercise promotes the release of "feel good" chemicals in the brain known as endorphins. It also gives you something to do so that your mind stops focusing on your symptoms. Consuming a diet rich in vitamins A,C,E,D, as well as the B vitamins may play an important role in the improvement of health anxiety, as may consuming foods rich in calcium magnesium, selenium and zinc. If your diet is deficient in these vitamins and minerals, talk to your doctor about taking supplements. Omega-3 fatty acids help decrease inflammation, and may have a profound effect on depression and anxiety. Because omega-3 fatty acids or fish oils can decrease platelet aggregation, you should not take them while you are taken aspirin or prescription anti-coagulants without the approval from your health care provider. Herbs are usually a safe method of strengthening and vitalizing your body's systems. As with all herbal, homeopathic and alternative therapies, you should talk with your doctor, who can diagnose your situation prior to initiating treatment. You can use herbal remedies as dried extracts (teas, powders or capsules), glycerites (glycerine extracts), and basic tinctures (alcohol extracts). Unless it is otherwise indicated, prepare herbals teas with 1 teaspoon of the herb per each cup of hot water. Steep the tea for about 5 - 10 minutes for flowers and approximately 20 minutes for herbal roots. Drink between 2 - 4 cups daily. If you experience side effects such as diarrhea, palpitations, headache, dizziness or any other unusual side effects, discontinue use and seek medical attention. No herbal remedies are specifically designed to treat hypochondria, some are extremely efficient in the treatment of general anxiety disorder and depression, which are thought to be components of hypochondria. Many herbs that help relieve anxiety and stress might benefit an individual with hypochondria become less focused with diseases (which often tends to substantially worsen during very stressful times). Other herbal remedies may even help reduce the symptoms of hypochondria. Since certain herbs have the potential to interact with prescription antianxiety and antidepressant medications, it is important that you tell your health care provider which herbs and medications you are taking. St. John's wort (Hypericum perforatum) has been shown to be effective in the treatment of depression, stress and anxiety. The standardized extract dosage is 300 mg 2 or 3 times daily, for treating depression. St. John's wort may interact with prescription medications, so talk to your health care provider before taking it.